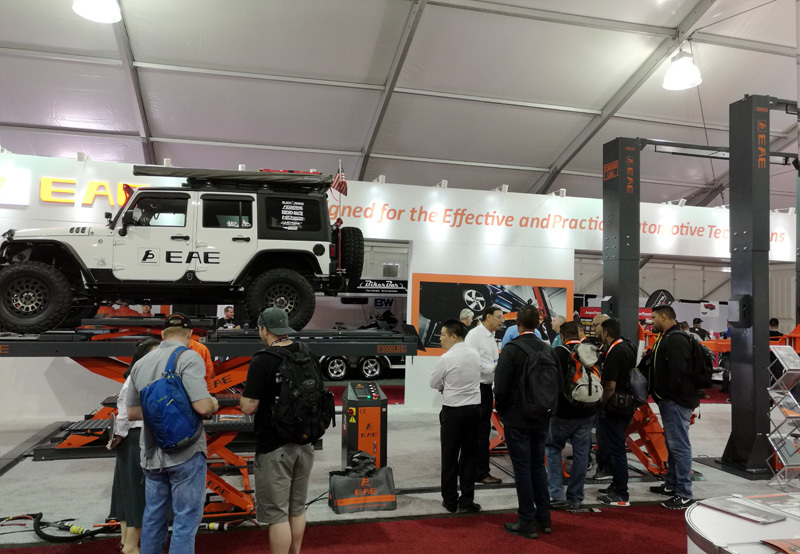 The SEMA Show is the premier automotive specialty products trade event in the world.In addition,the SEMA Show drew more than 60,000 domestic and international buyers. 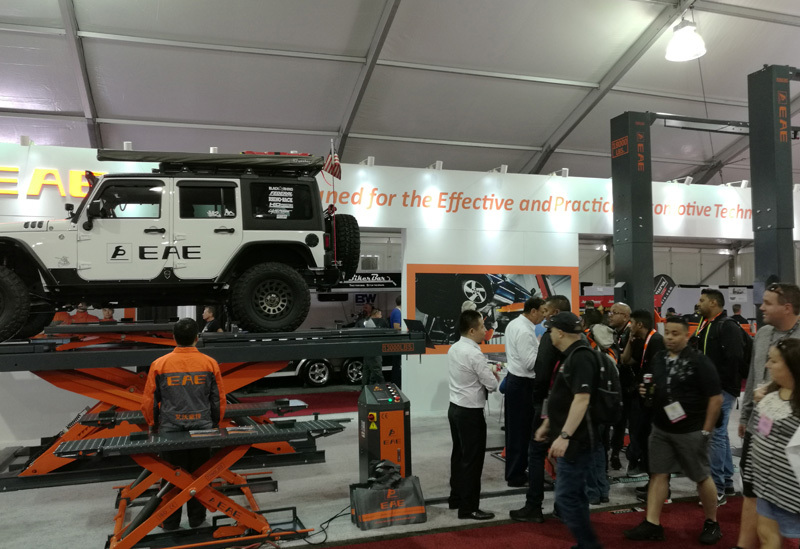 The displays are segmented into 12 sections, and a New Products Showcase featured nearly 2,500 newly introduced parts, tools and components. 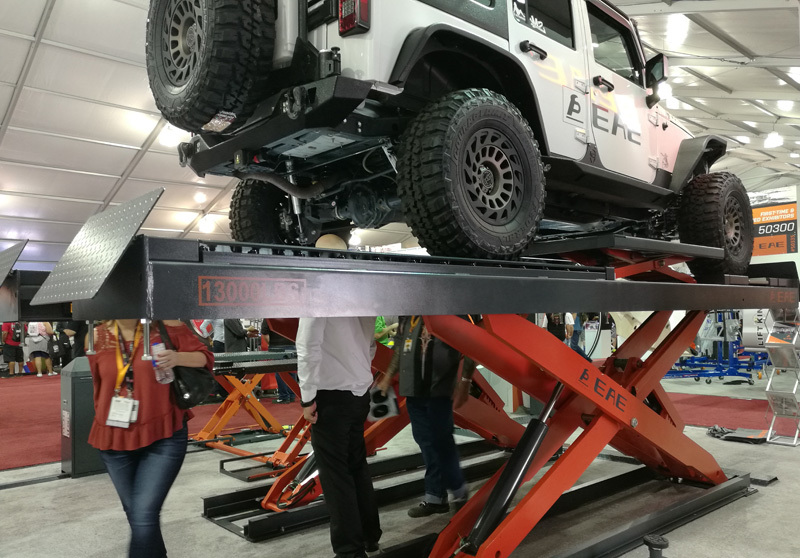 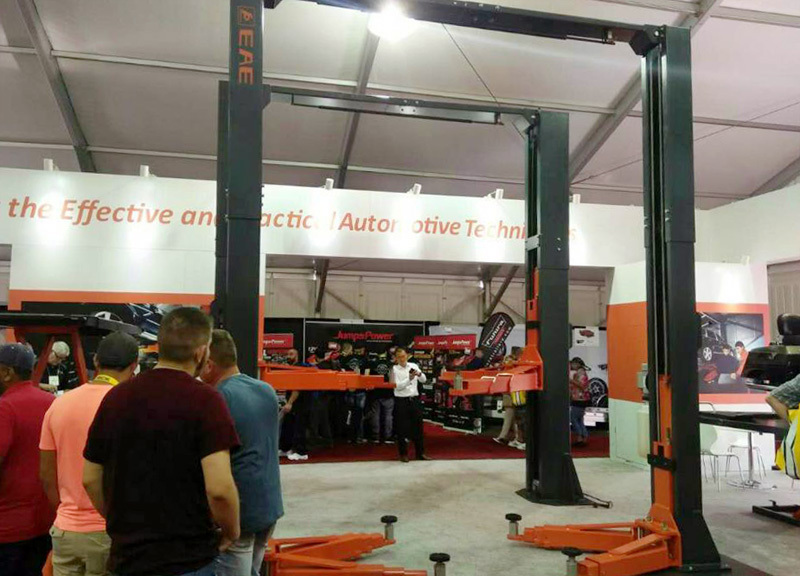 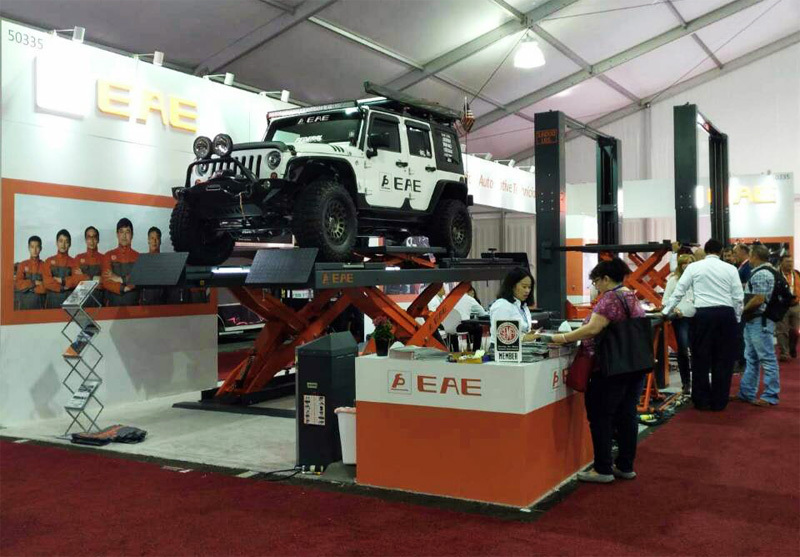 The SEMA Show takes place October 31 - November 3, 2017 at the Las Vegas Convention Center, EAE is presenting you new products and innovations at the SEMA Show.8000kg lifting capacity heavy duty two post lift（EE-C18）and 4000kg lifting capacity full rise scissor lift（65A.40T）attracted many people to visit.